Customers are not patient enough to fill a lot of required information while those are available in social account as Facebook, LinkedIn, Instagram,… Social Login extension by Mageplaza, your customers only need to click on the social button and all necessary information is completed automatically.That is the main reason why Magento Social Login extension is considered as the great solution for that convenience. 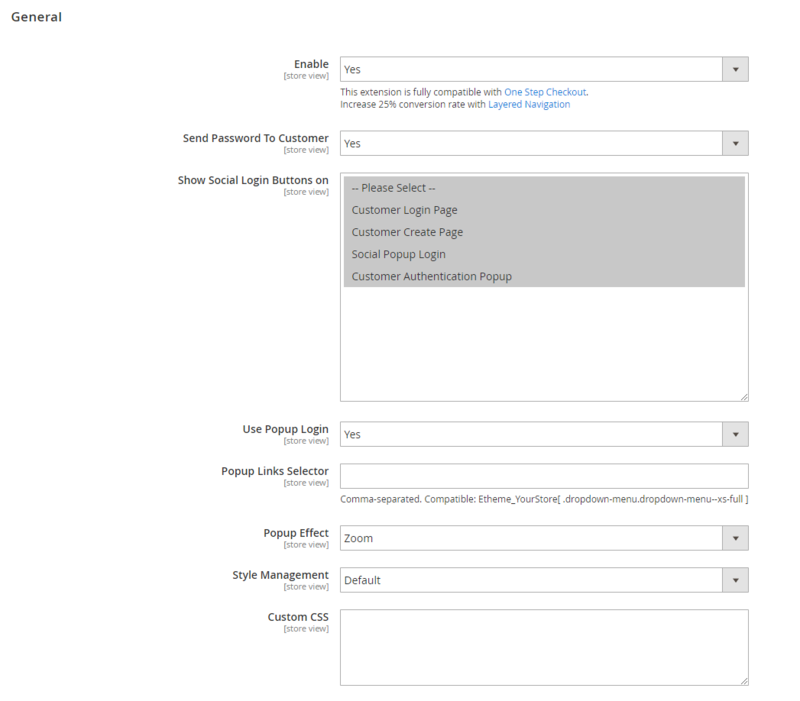 From Magento Admin, select Store > Settings > Configuration > Mageplaza Extensions > Social Login. In the Enable field: Select “Yes” to allow customers sign in quickly via social networking sites they are using. In the Send Password To Customer field: Select “Yes” to activate sending notifications to customers to remind them to change their passwords when signing in via social accounts. They can change their passwords via their emails used to register for that social account. 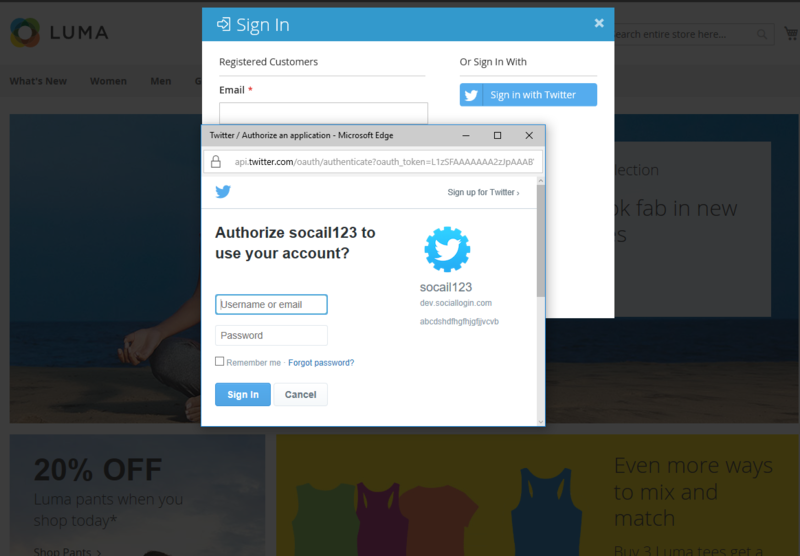 Select display page(s) with social login buttons. 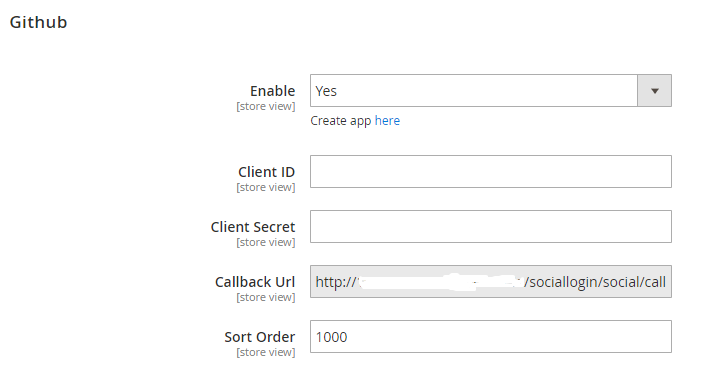 Show Social Login Buttons on = Customer Login Page will show social login buttons on the login page. 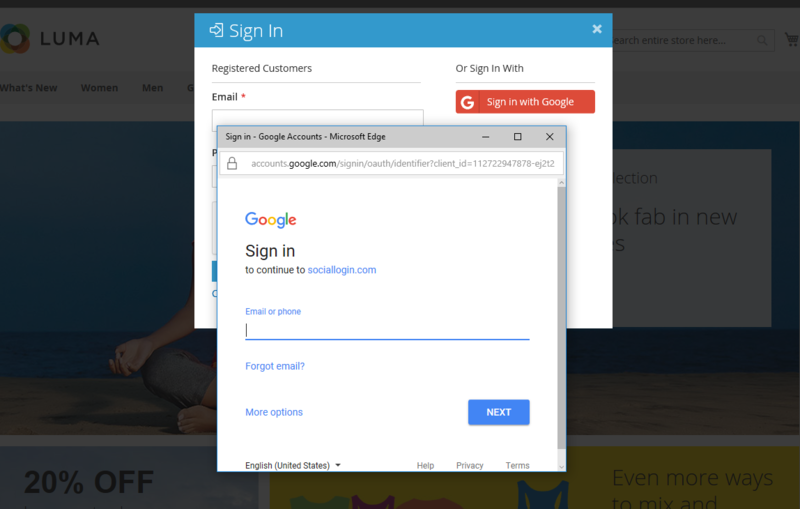 Turn on Popup and Show Social Login Buttons in Login Dialog, Create New Account, and Forgot Passwords. In the Popup Links Selector field: Customize any default Login and Create button to be a popup-open button by filling in class name of elements that cover these buttons. In the Require Real Email field: Choose Yes to enable the real email confirmation feature with the social media that doesn’t provide a real email as Yahoo, Github, etc. In the Style Management field: Admin can choose one of the display colors for popup. Style Management = Custom means Admin can select custom the color swatch. In the Custom CSS field: You can add CSS code to customize based on your personal preference. 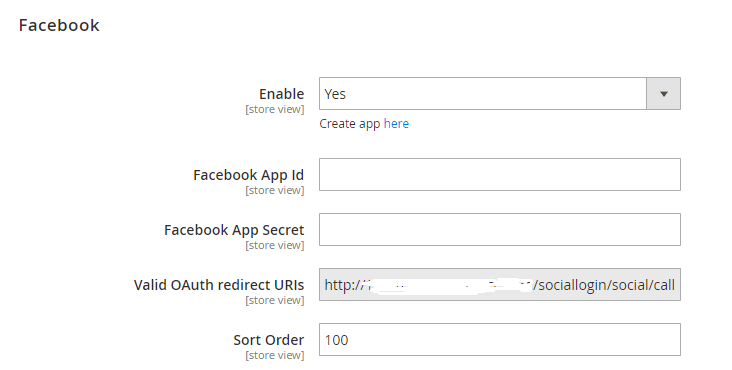 Go to Store > Settings > Configuration > Mageplaza Extensions > Social Login > Facebook. 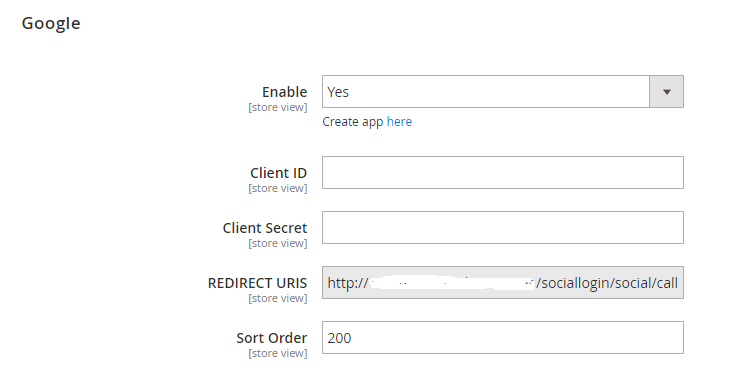 In the Sort Order field: The order to show social login buttons. Order will be arranged as following: number, special symbol, uppercase, lowercase. Instruction to create Facebook API can be found here. 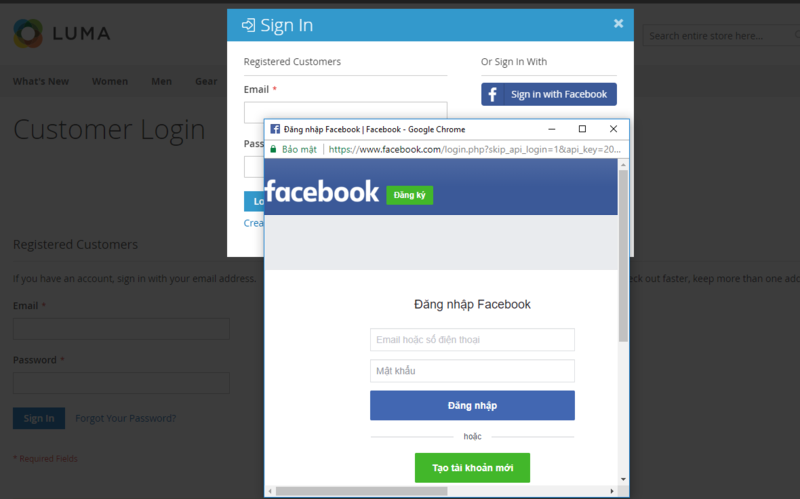 Facebook Login dialog will be shown after clicking on Sign in with Facebook button. Go to Store > Settings > Configuration > Mageplaza Extensions > Social Login > Google. Instruction to create Google API can be found here. Go to Store > Settings > Configuration > Mageplaza Extensions > Social Login > Amazon. 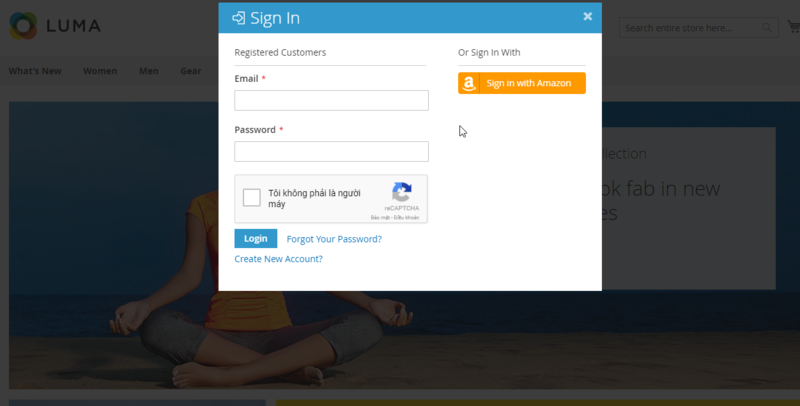 Amazon Login dialog will be shown after clicking on Sign in with Amazon button. Go to Store > Settings > Configuration > Mageplaza Extensions > Social Login > Twitter. Instruction to create Twitter API can be found here. Twitter Login dialog will be shown after clicking on Sign in with Twitter button. Instruction to create LinkedIn API can be found here. LinkedIn Login dialog will be shown after clicking on Sign in with LinkedIn button. Go to Store > Settings > Configuration > Mageplaza Extensions > Social Login > Yahoo. Instruction to create Yahoo API can be found here. 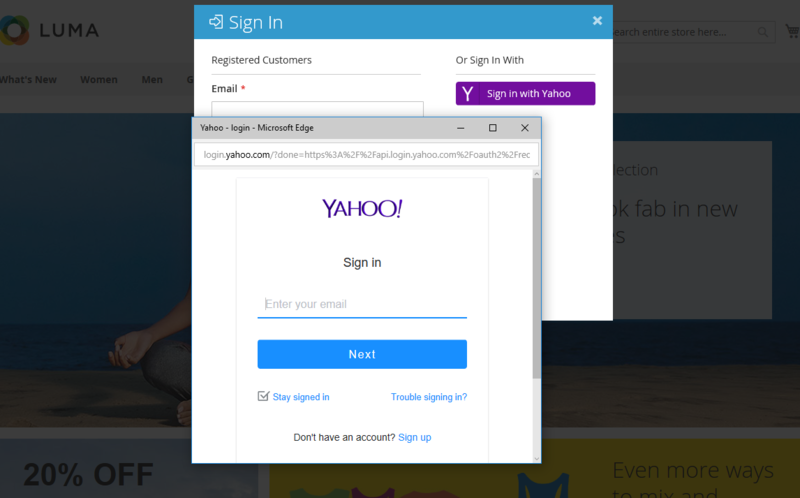 Yahoo Login dialog will be shown after clicking on Sign in with Yahoo button. 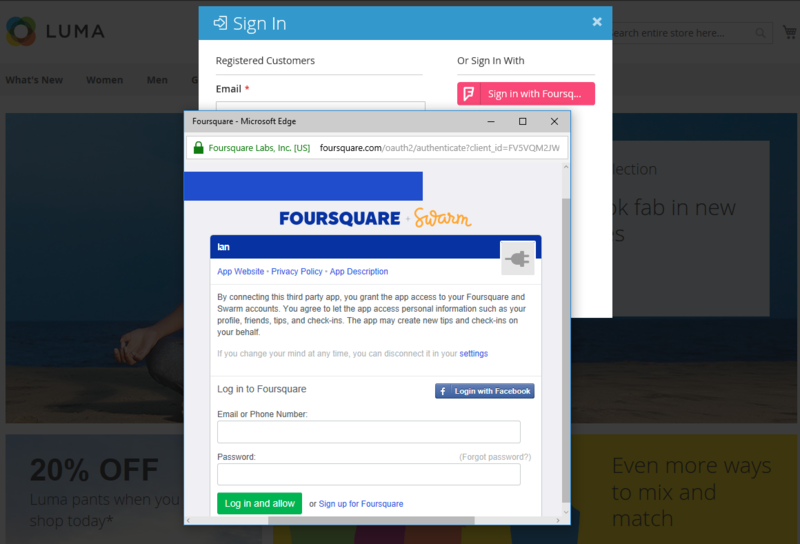 Go to Store > Settings > Configuration > Mageplaza Extensions > Social Login > Foursquare. Instruction to create Foursquare API can be found here. Foursquare Login dialog will be shown after clicking on Sign in with Foursquare button. 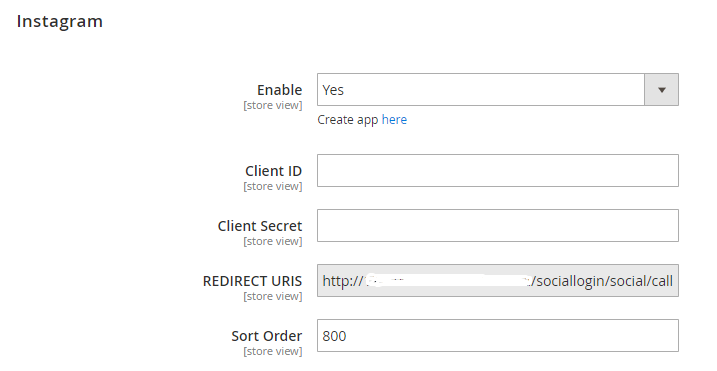 Go to Store > Settings > Configuration > Mageplaza Extensions > Social Login > Instagram. Instruction to create Instagram API can be found here. 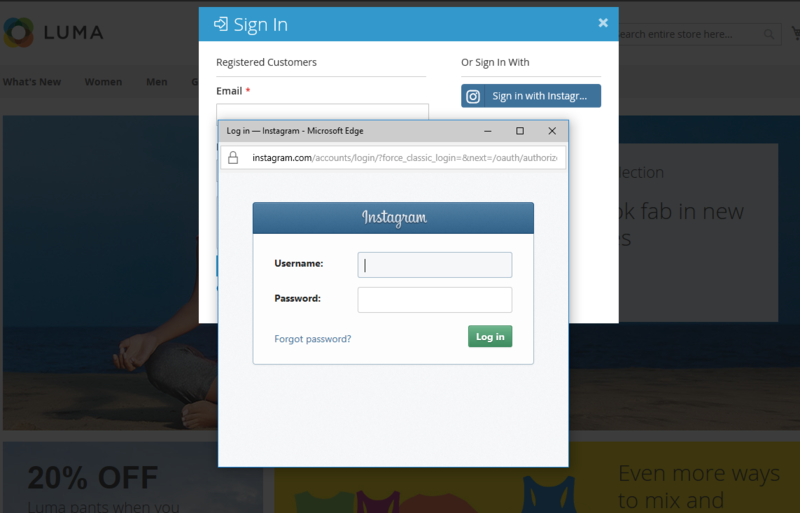 Instagram Login dialog will be shown after clicking on Sign in with Instagram button. 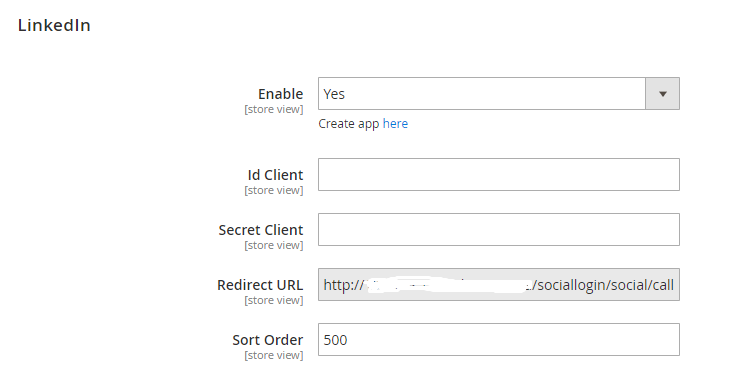 Go to `` Store > Settings > Configuration > Mageplaza Extensions > Social Login > Vkontakte``. Instruction to create Vkontakte API can be found here. 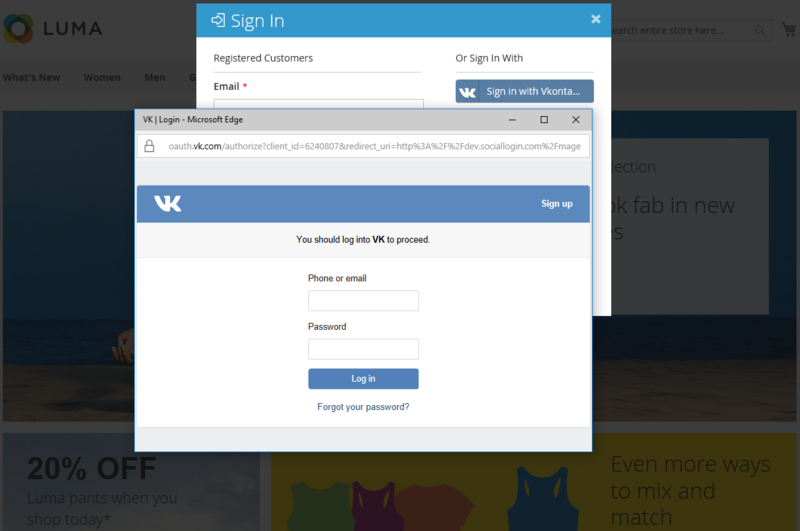 Vkontakte Login dialog will be shown after clicking on Sign in with Vkontakte button. 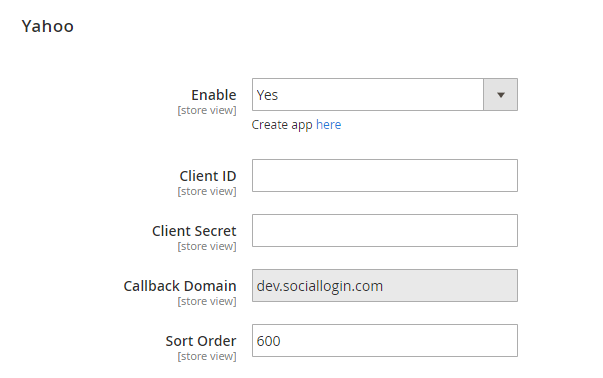 Go to Store > Settings > Configuration > Mageplaza Extensions > Social Login > Github. Instruction to create Github API can be found here. 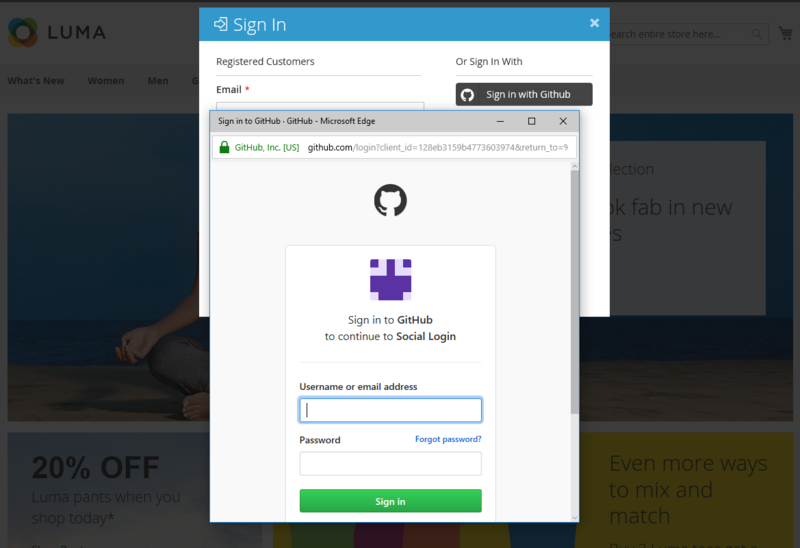 Github Login dialog will be shown after clicking on Sign in with Github button. © Copyright 2017, Mageplaza Revision f228cff4.